Welcome to our guest book. Your comments and suggestions are important to us. To Taelor, Ana-Maria and the Algarve Events Team. Firstly we would like to say a big thank you to Taelor and Ana-Maria, you made our wedding day one we will never forget, much love to you all. 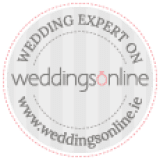 If anyone reading this is booking a wedding on the Algarve as we were a year ago and are worried about who to choose we can highly recommend Taelor and her amazing team. Algarve Events are well established and have a wide choice of excellent contacts. Personally, we used Robert and Ann as our celebrants, The Hilton Hotel in Villamora with the lovely Nichole as the wedding co-ordinator, DJ Farby and Dan Birch for photography. All of whom cannot be praised highly enough!!! Algarve events will deliver a seamless, stress-free wedding. Once again thank you Tarlor and Ana-Maria for the best day of our lives. Jo and Robbie. To Ana Rita & Taelor, Thank you for all your help with the planning of our wedding. We couldn't have done it with out you guys. Lots of Love, Nicola & Paul Murphy!